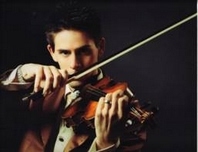 Violin Tuition - String quartet Wedding Music: Musicians for hire for corporate entertainment, London String quartet.wedding music.corporate entertainment. Jewish Wedding Music. 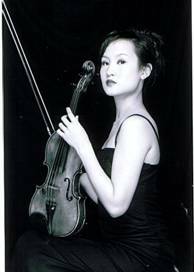 Joanne Chen studied at violin at the Boston Conservatory, Conservatorium van Amsterdam and The Guildhall School of Music and Drama in London. Joanne is a very successful freelance violinist regularLy performing with such prestigeous orchestras as the London Philharmonic Orchestra and City of Birmingham Symphony Orchestra. She has had much success as a teacher with posts at the Arts Educational School (Chiswick) and Highbury Grove School (Islington). She also has a fluent second language of Mandarin Chinese. Joanne is a member of the Mancini String Quartet.